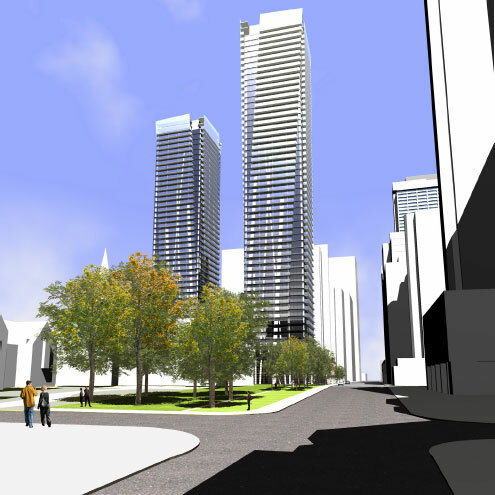 U Condominiums - Toronto's hottest selling condominium community. Our Bay Street location is steps from the St. Michael's College campus of U of T, and the exciting shops and services of Bloor/Yorkville. Plus, our exceptional 4,500-square foot rooftop amenities and superb finishes are unique. Now, Pemberton Group is poised to introduce four brand new Urban Designs, created to appeal to first-time buyers and those seeking the ultimate downtown pied-à-terre. The open-concept 325-square foot Urban Design I studio and 512-square foot one-bedroom Urban Design II come with the added Bonus of designer-selected Furniture Packages to make the most of these stunning layouts. All Urban Designs feature expansive windows and spacious balconies. Interiors have unsurpassed finishes, including sleek kitchens with Corian® countertops and custom-designed cabinetry; a kitchen appliance package comprised of the ultra-chic Miele combination oven/microwave, 4-burner cook-top, and refrigerator with integrated bottom mount freezer, plus a built-in range hood, Blomberg dishwasher, and Blomberg stacked washer and dryer; and as per plan pre-finished 5" wide engineered wood flooring, and smooth ceilings up to 9-feet in height (10-feet high on floors 34 to 44); plus much more.